Over recent years there has been a bit of a revival for the twin stick shooter. 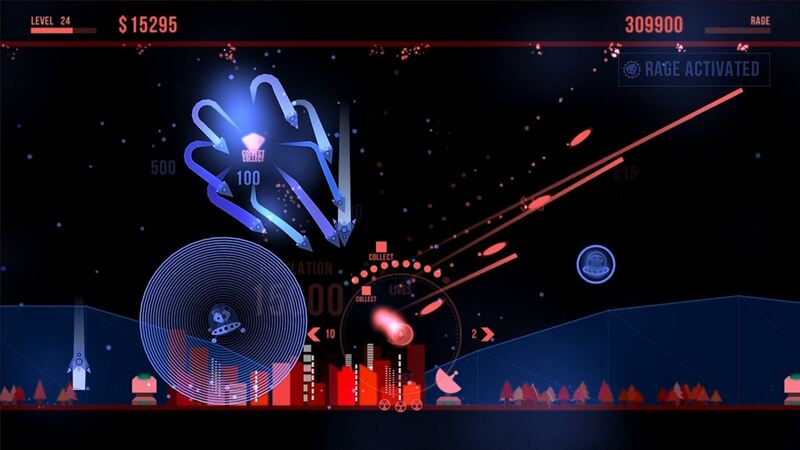 Blame Geometry Wars if you like, but when something comes with such an addictive draw and stunning gameplay mechanics, it only makes sense for other developers to jump on the bandwagon. And I have absolutely no issues with that because, in my eyes, the more twin stick shooting experiences that can be partaken in, the better. Paladin is the latest to hit the genre, and the development team at Pumpkin Games are selling it to us on the back of a blurb which mentions saving cities, destroying alien scum, upgrading space fighters and helping save humanity as we know it. For the most part they would be right to do that too, because throughout my time with Paladin, I’ve destroyed a whole ton of those aliens, I’ve saved many a city from destruction and I’ve upgraded my fighters beyond belief. I guess that must mean I’ve also saved humanity, but the problem is that just one hour and two minutes after my first attempt at salvation, the whole thing comes to a sudden halt. That’s not because the game is broken, as in fact Paladin plays very well and is hugely enjoyable. It’s just because it is very, very short. As in one hour short. Granted, now I’ve reached what I determine to be ‘the end’, I could actually go back and fully upgrade each of my five fighting crafts fully, and I could run through the humanity saving process over and over again in order to do so, but seeing as the differences between each of the various ships – the Manta, the Boa, the Viper, the Cobra and the Asp – are minimal at best, and the actual gameplay still only consists of scrolling left and right and taking down anything that moves, that’s not something that is overly enticing. I guess it may be a little harsh to say you’ll be totally done with Paladin in an hour, but if you were expecting a game that was going to drag you in for the long haul, this certainly won’t be it. Thankfully though that hour it has taken me to complete Paladin, and to pick up each and every one of the 20 achievements in the process, has been a fairly decent one – one that has been pushed along by some simple but effective visuals and a rather lovely backing track. With your left stick controlling movement, and the right providing the 360 degree firepower, it is a cinch to kill off any oncomers and save your cities from utter destruction. 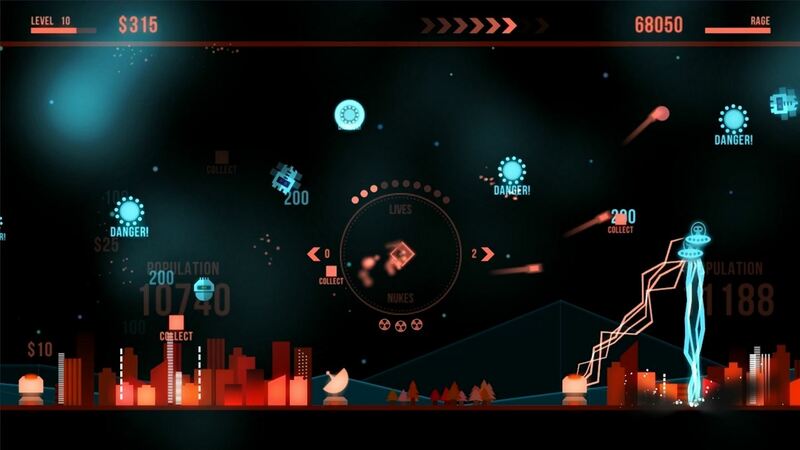 Each kill you make sees the drop of cash points too and, whilst these disappear very quickly, should you manage to clear each of the 40 stages of enemies, and grab enough moolah in the process, upgrading your ship before you head back in again is a lovely option. Fire rate, fire power, ship lives, nuke options, city defense capabilities and more are all upgradable, and it doesn’t take long for you to find your craft turning into a bit of a killing machine. In fact, it’s only a few minutes into matters in which you’ll discover that upgrading is key to your success and no matter whether you are going up against waves of rather unique enemies – all moving and attacking in different ways – or fighting back the bosses which appear at the end of each ten stages, you’ll have a good time doing so. 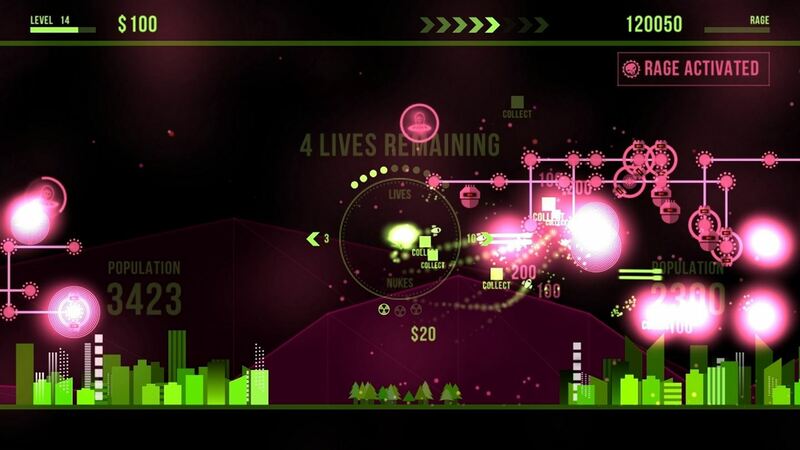 Each kill you make also contributes to a Rage meter which sits in the corner of the screen, growing by the second. Manage to take down opponents and get that meter filled and, in times of need, a quick press of the bumper button will see your firepower increased. It’s a nice little touch, and ensures that the slightly tougher enemy filled latter levels can still be completed without a care in the world. This is never more true than when checking out the ‘hard’ difficulty option of Paladin – a time when Rage is a necessity. Unfortunately though, both the ‘easy’ and ‘normal’ options are simple enough to never leave you having to worry about building the meter. Whilst killing these aliens is a no-brainer, you’ll also need to stop them attempting to destroy your cities which cover the bottom of the screen. Much like Defender used to see aliens whisk humans away, the bad guys in Paladin will happily latch on to a metropolis and drain it for all it is worth. As soon as that happens you need to be there, in the heat of the action taking down your adversaries, because if you don’t your cities will be destroyed and replaced with deadly laser beams which make your alien-removing schemes a ton harder. But as previously mentioned, and whilst there are three difficulty levels included, at the end of the day Paladin is a rather simple affair. You’ll no doubt initially find things a bit of a struggle, but once you’ve got the first couple of deaths out of the way, restarting each and every time at the level you find your comeuppance on, and have upgraded your ship just a little, the whole gameplay found in Paladin is simple enough. Even the bosses put up very little fight and aside from the very first which turns out to be a proper fight, the rest will be destroyed within a matter of seconds – due mostly to the power and upgrades attached to your ship by the time you come up against them. This makes things a bit disappointing as before you know it your time with Paladin is over and you’re left with nothing more than going back over the same old stuff with a slightly different ship with different acceleration and speed stats, and relying on another weapon, nuke or Rage type – although again there isn’t much in the way of change between all of them. You could also go back through things at a higher difficulty level should you so wish, and if only there were achievements locked to this then we’d find a bit of a reason to do so. But other than trying to place a bit higher than your mates on the global leaderboards, replayability options for Paladin are pretty low. 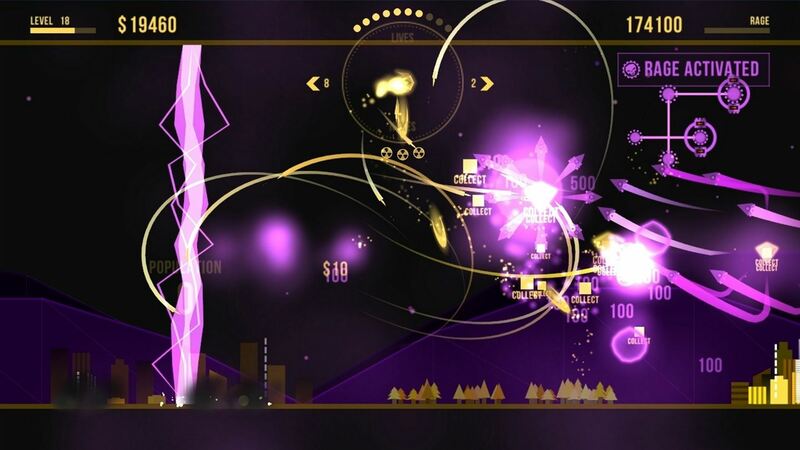 For £7.99, Paladin is a cheap and cheerful twin stick shooter that gives plenty of ship upgrading abilities. But for what boils down to an hour’s worth of game time, that price still seems a little high and probably makes sure the game is something you’ll wish to pick up in a sale rather than at full price. If money is not an issue and you’re a twin sticking fan, then you’ll find a game that is not at all bad, delivering plenty of explosions, some smooth gameplay and enough mindless alien killing action to keep you busy.